My Demon Date is a visual novel about going on a blind date with a succubus. 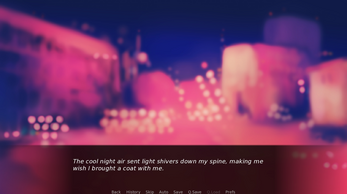 This game was made during the Winter 2018 - My First Game Jam. It's been several weeks since you broke up with your ex and you still feel like crap. To get your mind off of things you impulsively agreed to go on a blind date tonight that was set up by your best friend Faust, who happens to be an eccentric occult-enthusiast. What could possibly go wrong? You - Someone looking to get their mind off of their ex. Faust - One of your best friends and also an eccentric occult enthusiast. Mara - A friend of Faust and your blind date. Download the corresponding Win/Mac zip file. Extract the folder from the zip. 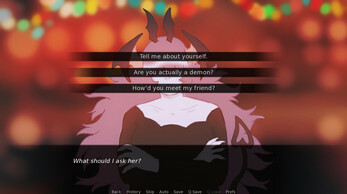 Open the folder and open the application "My Demon Date.exe". I love the art style and I enjoyed playing it. 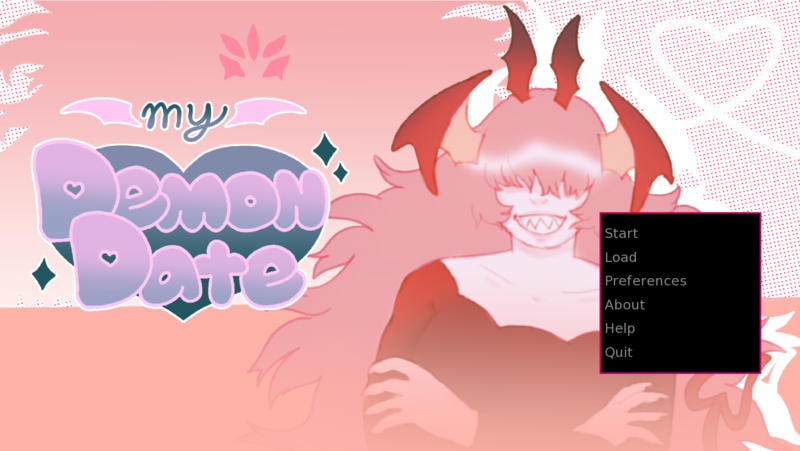 The demon is so cute!! Its short but sweet. So I saw your game and I really wanted to play it, I liked the idea and art style, but when I downloaded it I just couldn't get it to open, could you help me out a little bit more? Thanks! I honestly liked from this short but sweet game. 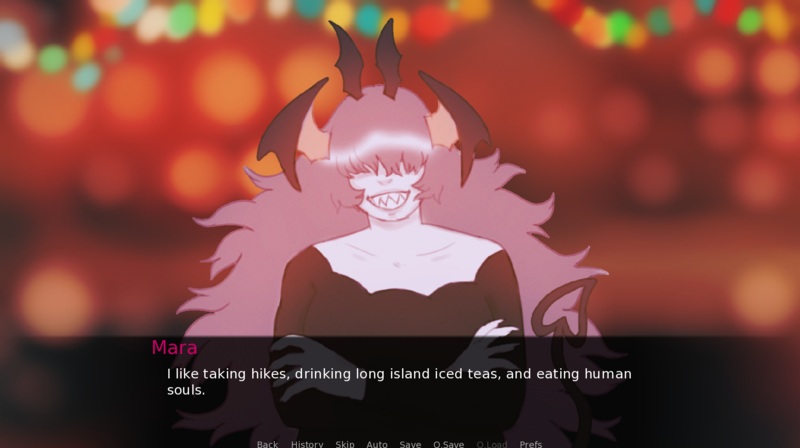 I've managed to get the good ending, and also a lesson: never judge a demon by its horns, heh.